Travel Style: - Cultural immersion and participatory workshops. Embroidery is one of the special trades of the Red Dao. They acquire silk thread and cotton fabric from other local tribes and use these materials to make their traditional embroidered clothing. In this way the local minorities rely on one another. The silk is twisted. Depending on the size of the thread, it is later twisted again. Sometimes two or four threads are twisted together to make thread ready for embroidering. 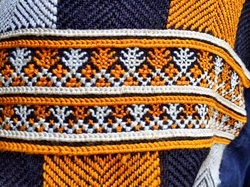 The embroidery is completed in lines, using the full length of the needle, and it is quite unique in that a design appears on both sides of the fabric. Full day sewing workshop in the ETHOS Community Centre. Classes begin between 9 am and 10am. Tuition is always one on one and uses traditional fabrics, patterns and techniques. Your teacher will be a Red Dao woman with many years of experience. This is an ethnic group where embroidering is second nature to them: they do it daily, almost mechanically. 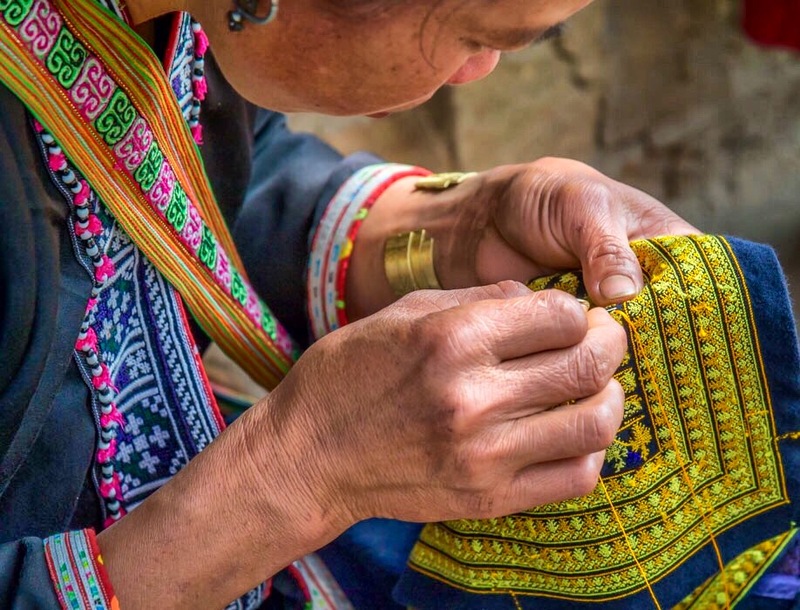 Skilled and patient, Red Dao women work complex stitches whose stylised patterns symbolise the surrounding nature, fauna and flora but also certain beliefs and rites of passage: birth, puberty, union and death. Each of the designs has a different meaning, some of them mean rice, or trees, or mother or father. You will create a small piece and learn about the fabrics, threads and symbology. The day includes lunch and all refreshments. 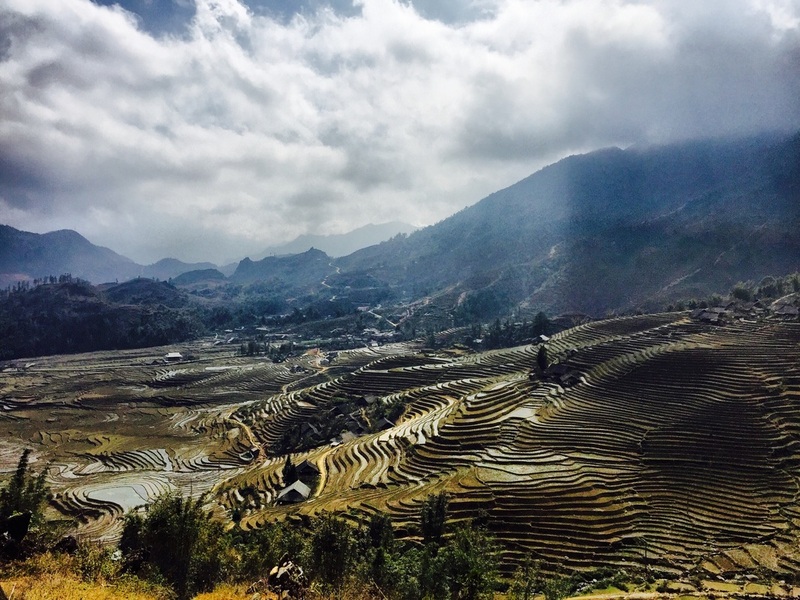 Ta Phin is a picturesque mountain village North of Sapa. 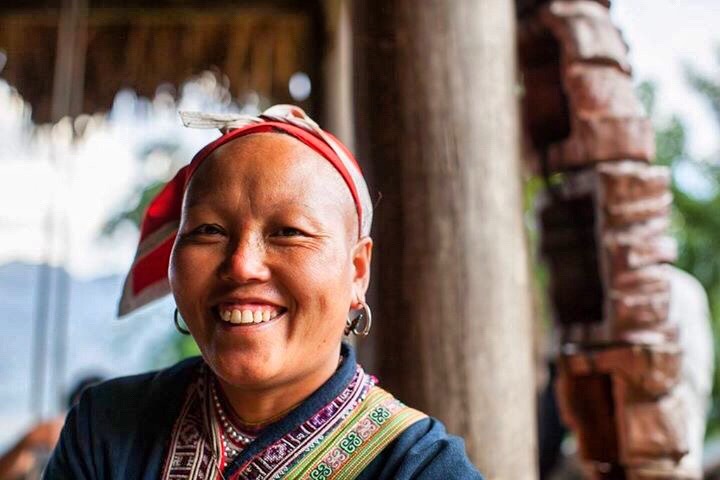 Set within a valley with a towering mountain peak at one end, this village is alive with the daily life of the Red Dao and Black Hmong minority hill tribes groups.​​ After an early start, you will make your way to Ta Phin via Sapa market by either taxi or motorbike. Travel to your hosts home and explore the family farm. Prepare the threads and begin your lesson. Enjoy a local lunch, freshly prepared and using village ingredients. Continue the sewing workshop at your leisure. It may also be possible to observe a silversmith crafting traditional jewellery. You will create a small piece and learn about the fabrics, threads and symbology. Two day and one nigh trekking option. Day one - take transportation to a beautiful village located about 40 minutes from Sapa. Trek through some of the best montain cloud forest in Vietnam before dropping down into a remote Red Dao Village. Meander approximately 11km along buffalo trails through forests and rice paddies. Sleep in a traditional Red Dao Homestay. Day 2 as above (option 2).